Coffee mugs rule. 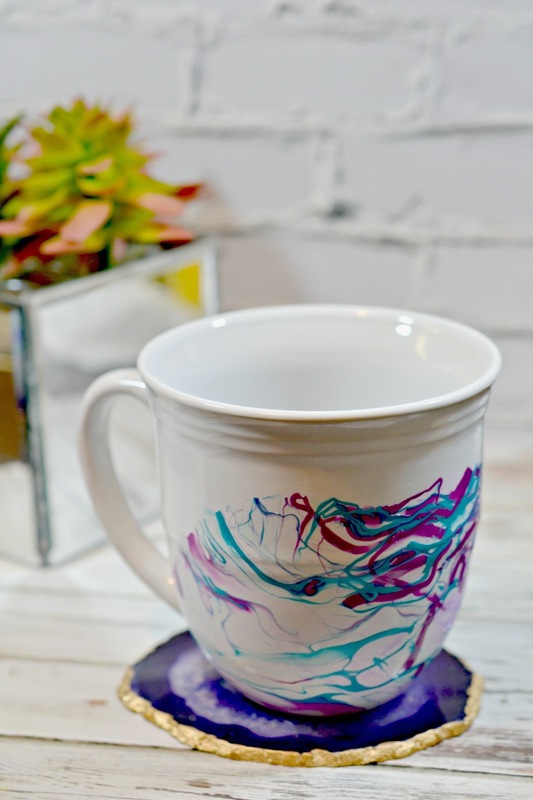 There's nothing better than having a fun mug to drink your morning cup of coffee or tea out of. 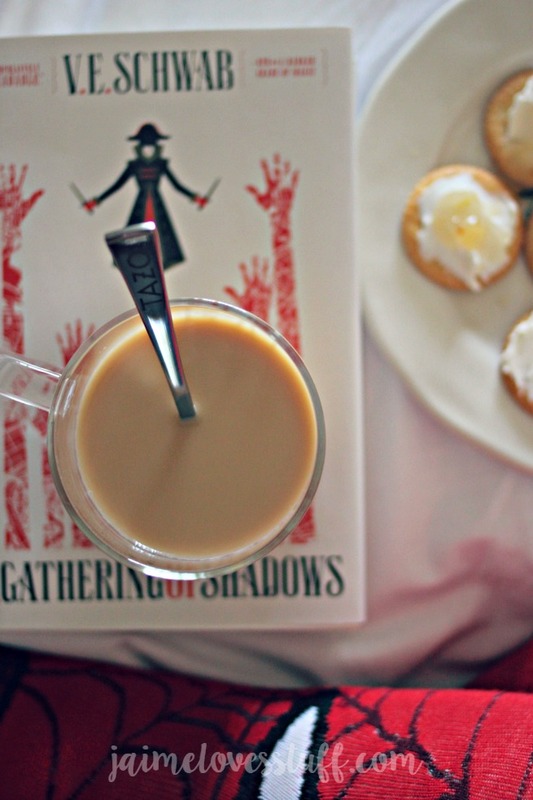 Throw on some crazy socks, grab a book and curl up with a steaming mug. 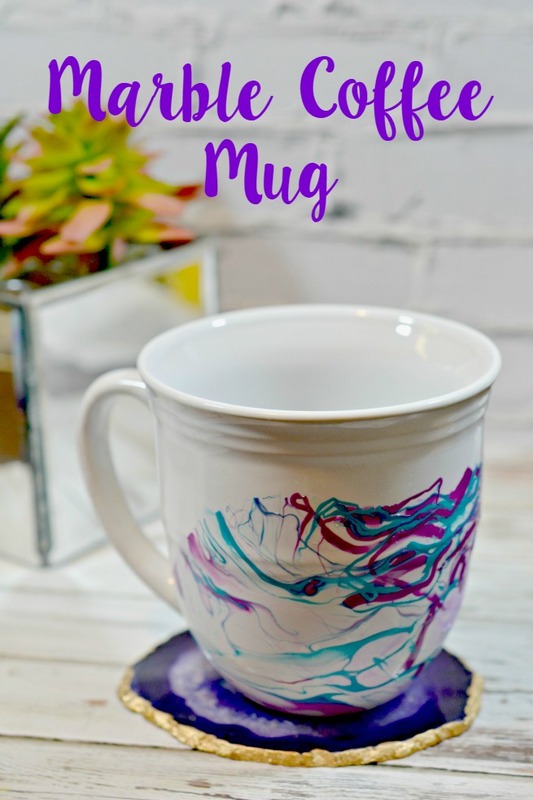 Coffee mugs also make a GREAT gift especially when it's made with love such as this really easy DIY marble coffee mug. It's pretty and makes for an inexpensive yet beautiful and thoughtful gift. It would be a GREAT gift for teachers, day care providers, coworkers, white elephant gift, gift exchange, parents, and the list goes on! Fill the bowl with warm water. 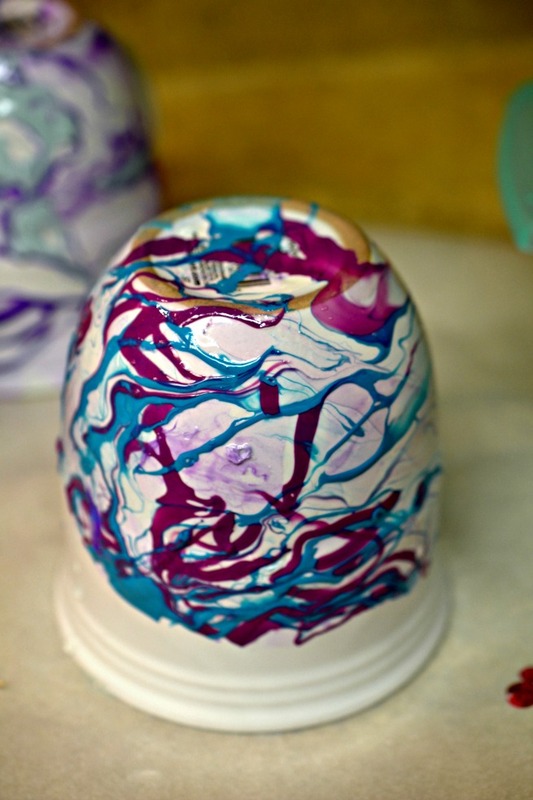 Slowly pour in the first color of nail polish. You want to pour it pretty close to the water’s edge, otherwise the drops will sink to the bottom. 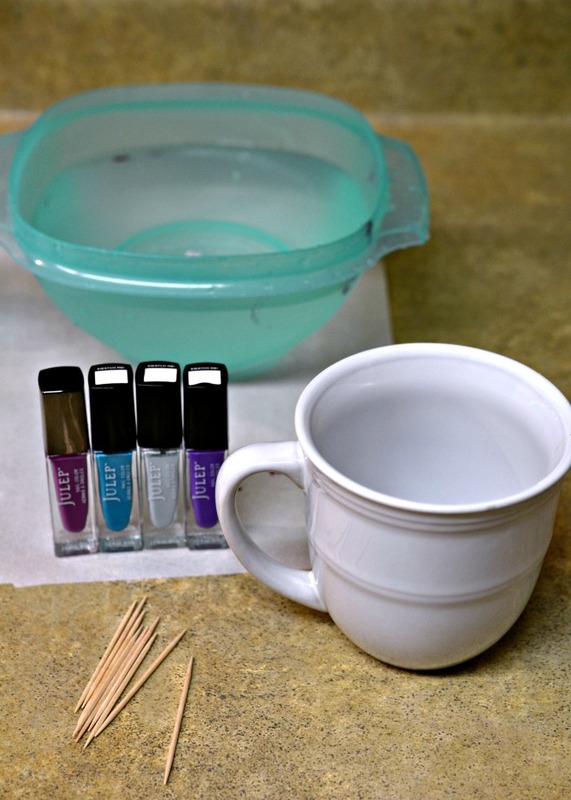 Add in your second color of polish the same way. 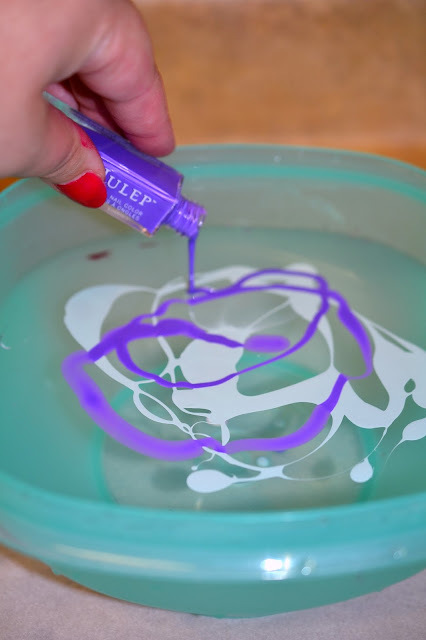 Use a toothpick and swirl the colors together. should want to just cling to it. Set the mug upside down on the wax paper to dry. Do you collect coffee mugs? Have you ever painted or designed your own? I'm ready to Rock This Boat with NKOTB!